Product prices and availability are accurate as of 2019-04-12 20:17:56 EDT and are subject to change. Any price and availability information displayed on http://www.amazon.com/ at the time of purchase will apply to the purchase of this product. 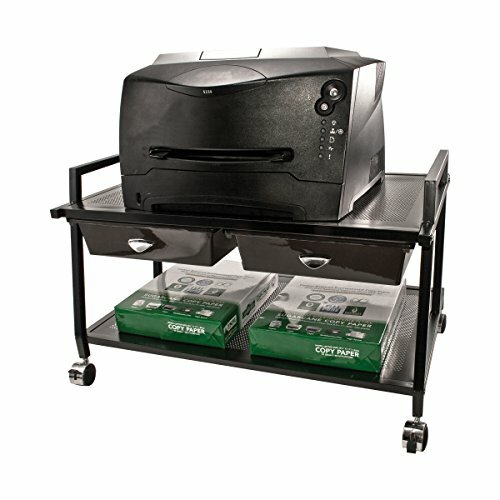 The ideal choice to hold your printer, fax machine or personal computer, the Vertiflex Mobile Underdesk Machine Stand is a must for any company. 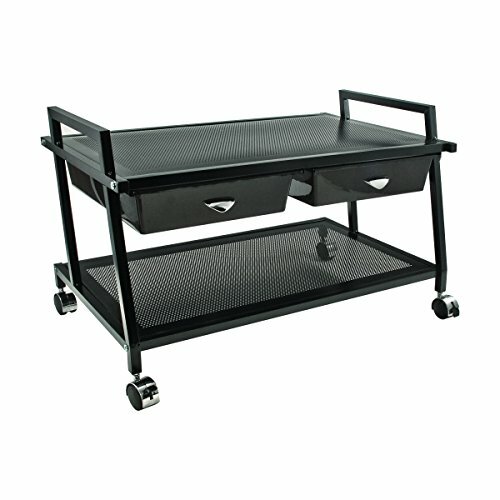 Made of durable steel and wire construction, this cart is mobile with four twin-wheel casters, two of which are locking. It features two convenient drawers to hold printer supplies, specialty paper, etc. This easy to assemble stand comes in a black finish that coordinates with any decor. Advantus Corp. is dedicated to providing innovative quality products at fair prices.